Dar Si Hmad has ten employees based in our Agadir offices. Thus far for the 16 Days Campaign, we have been spotlighting how our projects intersect with violence against women and women’s empowerment. But in addition to the multiple projects Dar Si Hmad runs that directly benefit communities in Agadir and Sidi Ifni, we are changing lives by building the capacity of the people who work on those projects. Today, we highlight Souad Kadi, a twenty-one-year-old who grew up in the Moroccan countryside in a mixed Arab and Berber village. Many of the girls who attended primary and secondary school with Souad were married before or just after completing their baccalaureate, discontinuing their education. Souad, though, moved to Agadir by herself and began studying English literature at Ibn Zohr University. 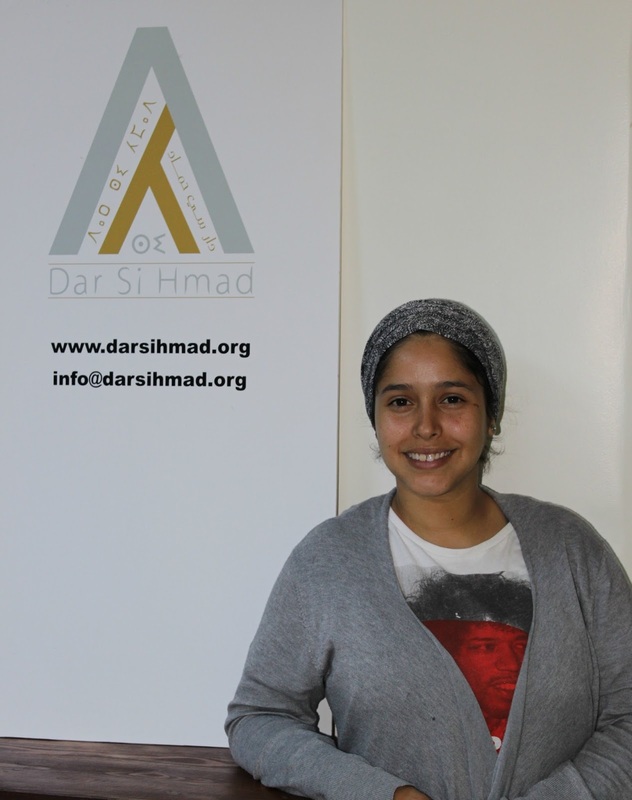 As an undergraduate student, Souad began teaching Darija (Moroccan colloquial Arabic) for Dar Si Hmad as part of the organization’s research support programming. Her enthusiasm for languages and Morocco soon led to greater responsibilities at Dar Si Hmad, and she began working as a research assistant for visiting scholars. Through this work, Souad learned about research design and fieldwork methodologies, gained experience with professional and technical translation, and shared her culture with people from around the world. Souad has now graduated from Ibn Zohr with a bachelor’s degree in English literature. Her undergraduate thesis project explored the sexist portrayal of women in Moroccan advertisements. Using discourse analysis and media studies, Souad considered how commercials are creating and reproducing images of women as silly, superstitious, and requiring guidance. The vast majority of TV ads show women in the kitchen. Men are regularly shown to involve themselves in women’s decisions. Women frequently stop talking and are silent for the rest of the commercial as soon as men come onto the screen. Souad argues that these images and scenarios suggest “women are only looking to settle down in their house with their husband” and occupy a “limited place where she should only take care of her husbands and kids”. Souad’s dissertation may show how Moroccan media assumes that a woman “cannot do her job by herself”, but Souad herself demonstrates that this assumption is clearly false. After graduating from Ibn Zohr, she was offered a full-time job with Dar Si Hmad as a RISE & THRIVE Program Liaison and Darija instructor. 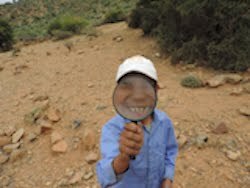 Souad’s work at Dar Si Hmad is invaluable to our organization and the projects we do to further equality and justice in southwest Morocco. 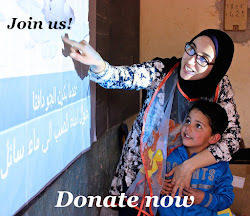 Happily, this relationship goes both ways, as the opportunities Dar Si Hmad has given Souad are continuing to build her capacity, enhancing her future as a powerful agent of social change.